Jayne’s Cottages will get you to where you’re going with the utmost speed, safety, and comfort on one of our Muskoka Private Charters. Whether you are traveling to the cottage with the family, with VIPs on business, golfing in Muskoka, skiing in Quebec or going to a sporting event in Chicago, we will get you there safely and efficiently. You’ll arrive on time, rested, and ready to be your best. Our Executive and Scenic Charter flights put the control of your schedule where it belongs – in your hands. You are able to depart from all three of the major Toronto Airports and any other airport should that be more convenient. 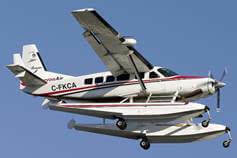 Single engine turbine, all-weather, air-conditioned aircraft on amphibious floatplanes capable of carrying up to 6 passengers in executive configuration (luxury club leather seating) or up to 8 passengers in commuter configuration (standard airline-style seating). 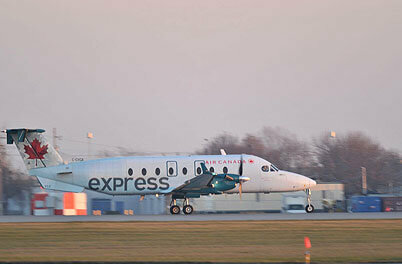 Pressurized twin-engine turboprop fixed-wing aircraft. 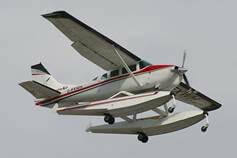 The aircraft is designed to carry passengers in all weather conditions from the airport with relatively short runways.